For hundreds of seniors in San Luis Obispo County, a beloved dog or cat is their only daily companion. We see this each and every day when we deliver meals to these isolated seniors through the Senior Nutrition Program of San Luis Obispo County. We see the unconditional love and comfort these pets provide as cherished family members—often the only family some seniors have left. 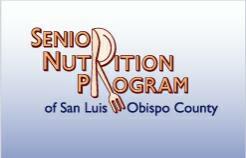 Last year Senior Nutrition Program of SLO County served and delivered nearly 146,000 meals to 1,133 homebound seniors and 450 seniors using congregate lunch sites throughout SLO County. This would be impossible without 300 volunteers dedicated to this important community service. SNP is always looking for additional volunteers to help at lunch sites or to deliver meals to homebound seniors in communities from Nipomo to Paso Robles and Los Osos to Cambria. What we also see is that many seniors are forced to choose between feeding their pets and feeding themselves. They are simply unable to afford pet food. Some seniors resort to sharing their meals with their pets. This means both seniors and their pets become malnourished. Some seniors must even make the heart-wrenching decision to surrender their beloved pets to County Animal Services, where they may be euthanized. We want to make sure our seniors don’t have to sacrifice their own nutrition or the lives of their pets, so we have started Mobile Pet Pantry. But we need your help. We can begin to deliver free nutritious pet food monthly to pet owners already in our Senior Nutrition Program if you’ll give just a few dollars to get us started. Mobile Pet Pantry makes total sense. It’s incredibly cost-efficient.We already have the trucks and the volunteers. We already have a well-oiled meal delivery system in place. We now have a veterinarian and a pet advocate team onboard to provide volunteer assistance. All we need now is a small financial kickstart from you to buy discounted, nutritious pet food and begin delivering it to homebound seniors. Please become one of our first patrons and join us in saving the lives of pets while preserving the health and emotional well-being of so many seniors. Please join us today.